A friend shared “Why I Terminated My Pregnancy After Learning My Baby Had Down Syndrome” by Sophie Horan on Facebook today. I can’t even begin to describe to you the tragedy that is this article. I am angry. The misleading and false information Ms. Horan presents in her article disgusts me. It’s irresponsible and reckless. But getting angry doesn’t make a difference does it? So, instead I ask that you take a few minutes to read on and share this so that we may undo the damage done and fight the spread of this horrible misinformation. There is absolutely no proven link between Down syndrome and anything parents do before or during a pregnancy or environment factors. Feel free to check here, here and here if you don’t believe me. And if you see anywhere in there that my lack of “semi-regular meditation” and joyful consumption of things with faces caused Evelyn’s Down syndrome, I will lick the bottom of my shoe. Alright, I have a problem with someone assuming that one, short, very limited exposure to a single interaction between an elderly couple and their adult son with Down syndrome is indicative of an entire population. It seems rather ignorant and small minded to assume this solitary person in this single moment represents the hundreds of thousands of people with Down syndrome living in the United States. I mean, if I saw a bear ride a unicycle, would it be rational to assume that all, or even most, bears ride unicycles? While one cannot predict the level of impairment, most people with Down syndrome fall into the moderate range of intellectual disability. Yes, some people do need to be hand fed and need help not running into the street, but that is not the case for MOST people with Down syndrome. I know many people with Down syndrome at varying life stages and their level of abilities vary. They all have strengths and weaknesses. For example, Evelyn is five years old and feeds herself. I have seen infants with Down syndrome who hit developmental milestones right on schedule. I have been lucky enough to know a man named Adam who lives independently. A talented artist named Bradley. Our office Intern, Allie, has Down syndrome. I know a 9 year old, Petra, who is an excellent reader, actress and comedian. This guy drives. Christian Royal makes beautiful pottery. Yes, I also know people who require more care in some areas of their lives, but the level of care assumed by this one small pizza-feeding exposure is not typical. Just because one man could not (or would not), that doesn’t mean it is the norm. We now know that people with Down syndrome benefit greatly from early intervention services and continued support. It’s not a fact, but it is probable that if this couple was elderly, they raised their child during a time that he was not afforded these advantages. When they raised their son they probably received little or no support. Unless they were wealthy, he would not have received physical therapy, occupational therapy, and speech therapy. He may have been barred from attending a public school. Today, there are federal laws that protect the educational rights of people with disabilities. Now that we know how to best support people with Down syndrome, the majority go to school, hold jobs, and lead fulfilling lives. It is even becoming more common for people with Down syndrome to go to college and live independently. “Knowing that my husband and I wouldn’t live long enough to provide the necessary long-term care for our child was stressful, to say the least. I did not want him or her to ever feel lonely, lack independence, or be confined to a nursing home when we passed on. Where to begin? First of all, as a parent of a child with special needs, it is my responsibility to make sure she will receive the support she needs after we are gone. If I don’t want her to end up in a crappy nursing home, I better do the work to make it happen. Yes, that requires more work on my part, but she is my child and I love her so I can do some work to ensure her happiness. Figure it out. Do better. That’s parenting. For any child, you work hard so they have a good life. This is just another challenge, and as parents (or siblings) it is our job to rise to the occasion, not just throw up our hands. That is what family does. Secondly, this idea that every person who was not elderly in the “nursing home” had Down syndrome is preposterous. I would bet my house that was not the case. People end up in assisted living facilities for a variety of issues and various life stages. And finally, if the people in this facility weren’t visited by their families and friends, It’s probably because they were jerks that nobody liked, their families were jerks that nobody liked, or everyone else they knew was already dead – not because they, allegedly, had Down syndrome. I agree, deciding weather or not to terminate a pregnancy is the hardest decision a woman ever has to make, and I believe it’s her choice to make. I suffered through the same decision. 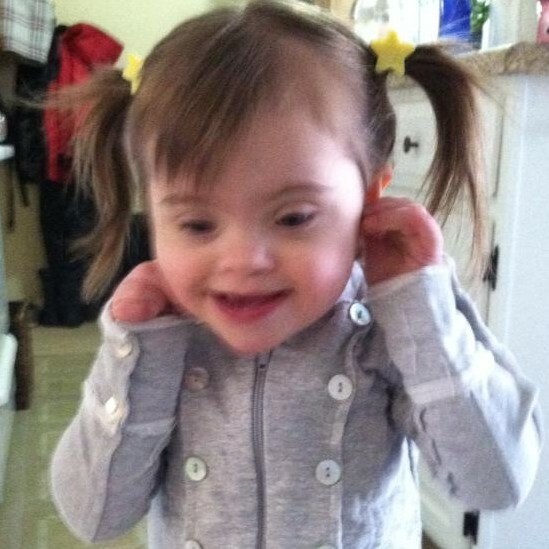 I was terrified when I found out my daughter would have Down syndrome. My knee jerk reaction was to get an abortion, make it go away. Luckily my doctors provided me with accurate information and connected me to resources in my community. Obviously, Ms. Horan was not afforded the same luxury. I’m sorry for that. Her doctors didn’t do their job. The course of my life and hers was determined by a trusted doctor’s inclination to educate him/herself and others about Down syndrome, just in different ways. But the assertion that terminating this pregnancy was best for that unborn child is categorically untrue. 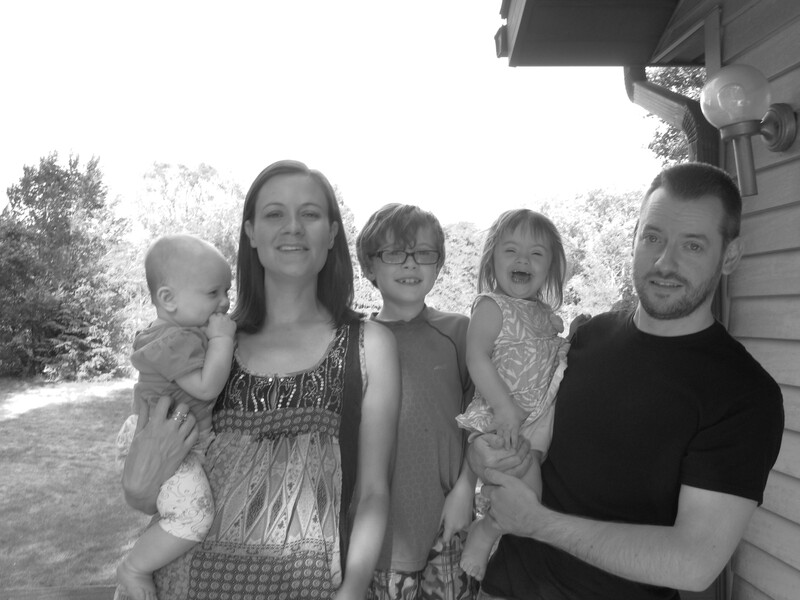 Yes, raising a child with Down syndrome is inconvenient and sometimes its downright difficult – for me. But people with Down syndrome themselves? Well, 99% of people with Down syndrome are happy with their lives and 97% like who they are. That’s much higher than the overall population. So, I don’t buy it. I hope that at the time, Ms. Horan truly believed that she was making the best decision for her baby, and not just making the best decision for herself. Either way she was wrong. Because in addition to people with Down syndrome enjoying life, 99% of parents said they truly love their child with Down syndrome and 88% of siblings said they are better people because of their sibling with Down syndrome. Me personally? I’m thankful everyday that I decided to continue my pregnancy. I’m grateful for the opportunity to raise a child with Down syndrome. My life is better because of her. I’m sure you are shocked, scared, overwhelmed and grieving – I know I was. I was 11 weeks pregnant the first time I heard that my baby might have Down syndrome. It was confirmed at 18 weeks. I considered terminating my pregnancy, but I was lucky enough to have well-informed medical professionals and a local Down syndrome association who helped me to learn about the realities of life with Down syndrome. I know though, that many people are provided little to no information, or incorrect information. There are several great websites that can help you find out more, including ndss.org and nads.org. They will help you find support and can give you lots of factual information. But you can start here with a few of the most important things to know when receiving a Down syndrome diagnosis. First, please understand that this does not define you, your child, or your family. My family is normal. We have exciting Christmas mornings and nervous first days of school. My kids play and laugh and fight together. We go to parent-teacher conferences and way too many after school activities. We have barbecues and birthday parties. We have tons of friends. It may seem impossible to you now, but Down syndrome is merely a footnote in your family’s story. This next part may be hard to hear but… You are not special. Well, maybe you are special – I don’t know you. But that’s not why your child has Down syndrome. I am a regular person. I yell at my kids, I swear too much, and at times I feel overwhelmed by parenthood. I’m not a saint. You were not given this child because, “God knew you could handle it.” Anyone is capable of raising a child with Down syndrome. If I can do it, you can. Parenting works like this: Take things one step at a time; what you don’t know, you learn; love your child. None of that changed just because my child has Down syndrome. She makes me laugh, she drives me crazy, sometimes I am AWESOME… and sometimes I screw up – just like with my other kids. However, you will become a better you. Becoming a parent changes you, and becoming a parent of a child with a disability is even more affecting. I had a much narrower view of the world before my daughter was born. I now practice empathy instead of sympathy, and I judge people by who they are, not what they can do. I’ve opened my life to include people I never noticed before. I stopped letting fear of saying the wrong thing prevent me from getting to know all different kinds of people. I don’t value my journey by where it ends or how quickly I arrive, but by what happens along the way. My world is bigger, my life is fuller, my heart is freer, and I am happier because of this change in perspective. Finally, and most importantly, you are not alone! There are hundreds of thousands of families in the U.S. who have taken this journey – millions worldwide. You really need to meet some of these people! We have been where you are and we are living proof that life with Down syndrome is not much different than life without it. You can contact your local Down syndrome association or join an online group and talk with someone who understands. We are here to support you. I’m not saying life with Down syndrome is all rainbows and unicorns – but life isn’t all rainbows and unicorns. As someone who’s been where you are, I just want you to understand this: My life is good. If you already love someone with Down syndrome, please share anything else you wish you would have known when you first met them.